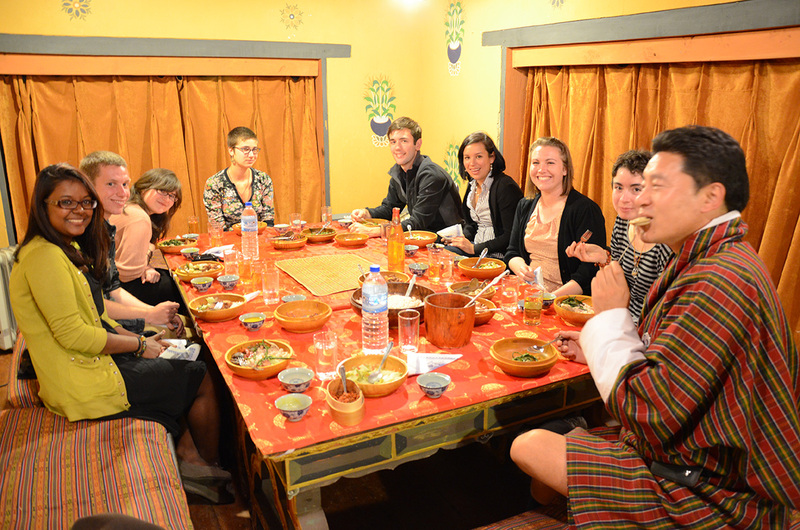 On Saturday, March 23rd we all went to the Folk Heritage Restaurant in Thimphu for a traditional Bhutanese dinner. During dinner, we were supposed to order our food and beverages in Dzongkha because we spent our Dzongkha class that week learning food and restaurant vocabulary. It was a chilly Saturday evening in March. The ominous fog was rolling over the hills. 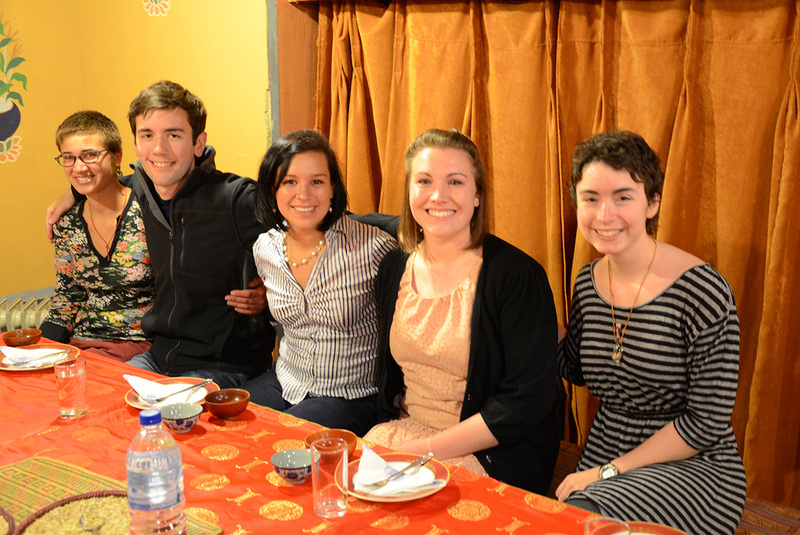 All of us were filled with anticipation and excitement as we walked to the Restaurant from Chang Lam Plaza in Thimphu. First, we were served tsaw, or puffed rice, with suja (butter tea). We found that it is best to think of butter tea as a soup when you are drinking it because it is butter mixed with brewed tea and salt; suja is a common beverage among people living at high altitudes because of its high caloric content. Next the group favorite, cheese momos (small dumplings filled with cheese and finely chopping cabbage, onions, and carrots), were brought to the table. We all delightfully devoured those instantly. For our first beverage, we were served ara. Ara is a traditional distilled alcoholic beverage of Bhutan, made from fermented rice, maize, or wheat. Over the course of the meal our cups were always full which proved for a progressively interesting dinner. 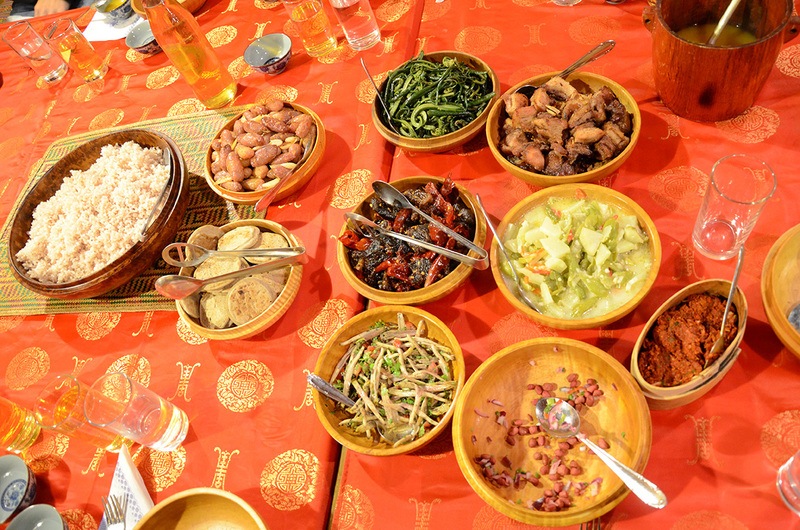 The main course came next, which was not served to us directly, but large bowls of the different dishes were placed in the center of the table for us to take turns serving to ourselves. The meal consisted of a large bowl of to marp (red rice). We also had kewa (potatoes), banana flowers, nakey (fern shoots), phagsha paa (sliced pork dish), norsha paa (sliced beef dish), kakru maru (pumpkin soup), kewa datsi (potatoes and chillies in a cheese sauce), peanut masala, ezey (chili paste), and buckwheat pancakes. Overall the food was namisami zhimpey (extremely delicious). We were able to apply the Dzongkha vocabulary we had been learning about food (to an extent), and we did it in a practical, real life setting. 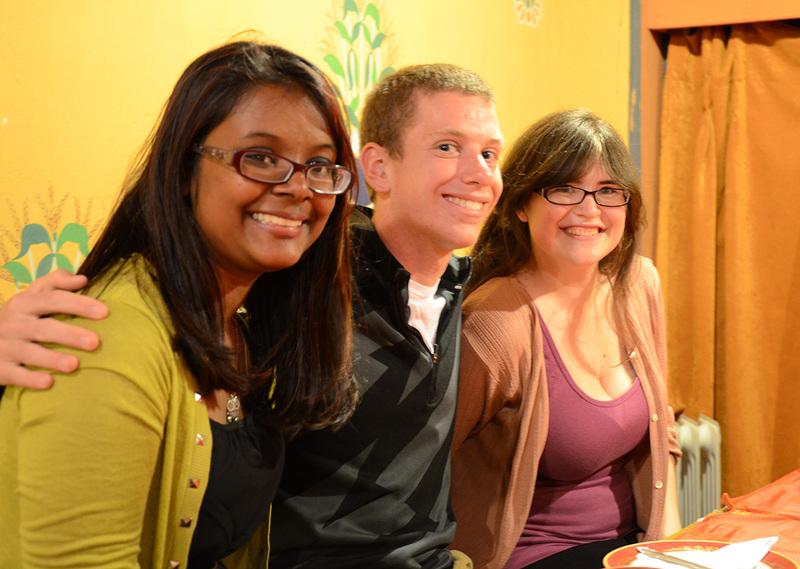 So while this was an educational night, it was a huge benefit to be able to try different foods.